4 Gorgeous Gift Ideas to Melt Her Heart This Women's Day! HomeExclusiveEvents4 Gorgeous Gift Ideas to Melt Her Heart This Women’s Day! Have you ever wondered how the world would be without women? Oh, you simply can’t! And even if you do, then we’re sure it won’t be that wonderful. Yes, it’s women with their extraordinary spirits who make the world a fabulous place to live in! Especially, think about the women in your life – your mother, wife, sister, girlfriend, best friend; aren’t they all incredibly amazing in their own way? It’s their constant love and support that make your dull days bright and your happy days brighter! On 8th March, the world celebrates International Women’s Day. Moreover, with this day just around the corner now, it’s the perfect time to make them feel special. So, if these women in your life always show their love and care in profound ways,do they not deserve something just as amazing? She’s always on her toes, managing multiple things so effortlessly. And you, wonder with awe. So, this women’s day, one perfect way to thank and delight her would be to take her on a vacation that she’ll remember for a long time.This present will not just give her a break from everyday life but will also help her spend quality time with you. However, if you want, you may even send her solo or with her set of girlfriends, so that she can enjoy in her own way. However, whatever be your way, plan a good destination where she not just gets a chance to unwind, but can also explore and experience exciting things. She works round the clock, and still never minds it! For a woman such as this, what can be a more befitting present than a classy watch? Moreover, women love accessories, and a watch tops the list. There are many high-end brands like Tag Heuer, Michael Kors, Rado, Titonithat offer elegant, stylish timepieces and are a treasure to own. Take a cue of what she likes, and then buy one according to her taste. Gifting her a watch that stands for precision and beauty will also be a way to complement the similar qualities that she too embodies. Also, the theme for this year’s women’s day is #BalanceforBetter, so, you may choose to attach a sweet note with your present telling her to take out more time for her pretty self too. We’re sure this will put a smile on her face and make her feel how your present had a caring thought behind it! She loves to shop. And she’s unapologetic about it! It’s almost a universal truth that nothing delights a woman more than pampering herself with a good shopping spree. So, instead of buying something in particular for her, which she may have to get it exchanged later, give her a gift card.She knows what she likes best, so the card will give her the freedom to buy whatever she wants, whenever she wants. Many premium retail brands offer gift cards for this very reason. In today’s modern age, this can be a perfect present to make her happy! 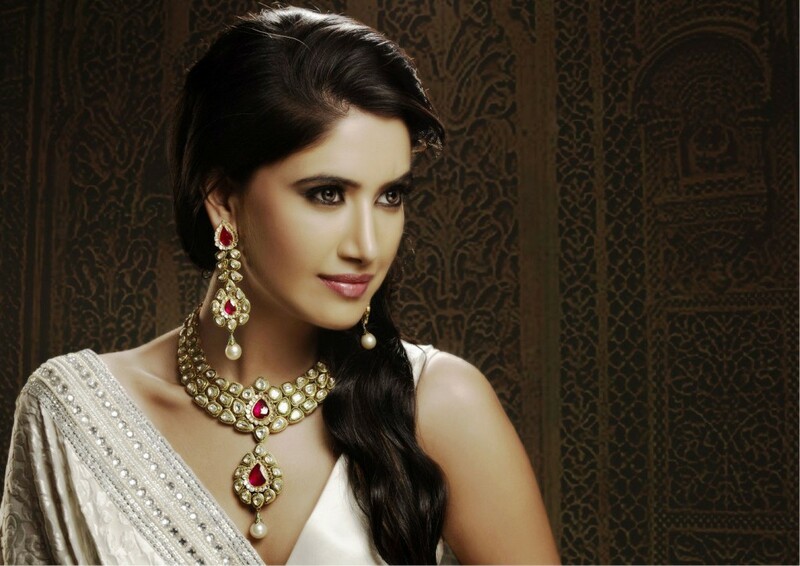 She looks beautiful in the simplest of ways, but a little jewellery makes her look even prettier! Jewellery is a gifting option you can never go wrong with. Even though women no longer wear jewellery every day, but they love flaunting it on select days. So, you can consider buying some elegant pieces of jewellery for the special woman in your life. From bangles and bracelets to earrings and beautiful neckpieces, there are plenty of options you can choose from. Life is short, and thus, we must express what we feel for the special people in our life. So, this women’s day, go all out and shower the woman in your life with presents that have a deep value attached to them. For this purpose, don’t compromise on the finance part, for it is not every day that you plan something for her. You may consider taking personal loan finance if the present you’re viewing is on the higher side. An instant personal loan from financial institutions like ABFL Directcome with a flexible tenure and have an easy disbursal. There is also no collateral or documentation for sanction. Such banks and financial institutions offer personal loan finance on easy terms. Now, with only a couple of days in hand, you can quickly plan how you’ll make this women’s day special for your woman! So, what are you waiting for?